R. Mark Mifflin | Giffin, Winning, Cohen and Bodewes, P.C. Complex civil litigation is one of the areas where Mark excels. He brings extensive experience in all levels of court work (from state administrative agency through the Illinois Supreme Court and federal courts) and a wide range of case circumstances where he has obtained favorable results for his clients. Mark represents several insurance companies and their insureds in a variety of contexts, both personal and commercial. These matters involve issues as diverse as personal injury defense, commercial defense and coverage questions. 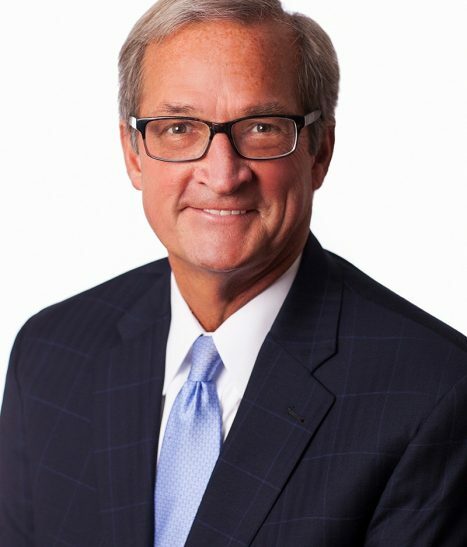 Following graduation from law school, Mark served as a law clerk for Justice Robert C. Underwood of the Illinois Supreme Court and then United States District Judge J. Waldo Ackerman. Following his clerkships, he was an Assistant United States Attorney in the Central District of Illinois. Mark is a registered lobbyist with the State of Illinois and has a proven track record of working with legislators and administrators at all levels of state government. Prior to attending law school, Mark served as an Illinois Legislative Staff Intern on the staff of the Illinois Senate. Upon entering private practice, he began work with other lawyers in the firm as a lobbyist before the Illinois General Assembly and numerous state administrative agencies. The firm currently represents several large corporations and many national and statewide trade associations. While all of the firm's lobbyists are involved as necessary with all of the firm's clients, Mark's primary responsibility and emphasis has been upon representing insurance interests and several state-regulated interest groups. He has been directly responsible for the enactment of laws proposed by his clients and the defeat of legislation and regulations opposed by his clients. Mark has severed since 1995 in the Illinois Association of Defense Trial Counsel. He was Past-President of the Illinois Association of Defense Trial Counsel from 2016-2017 and a member of the Board of Directors from 2012-2017. Mark is currently a member of the IDC's Legislative Committee. He received the IDC's President's Award in 2007, 2008, and 2011. Mark is currently the Illinois State Representative to the Defense Research Institute. In 2017, Mark received DRI's prestigious Fred H. Sievert Outstanding Defense Bar Leader Award. Mark also serves as a Hearing Officer for administrative hearings before the Illinois State Police Merit Board. Mark currently serves as a Member of the Illinois Supreme Court Committee on Character and Fitness.